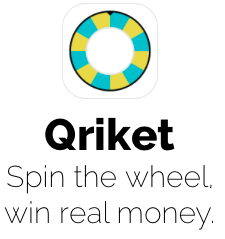 Qriket-Spin the Wheel and Earn Cash. once you use up your 25 free spins you have to earn them. short videos or surveys earn you additional spins. you also can challenge someone and wager a bet to earn more money. i can already tell this is not going to be a quick earner but it is something easy to do when out and about waiting in line somewhere. i also have seen some spins worth $2 so winning a few of those can quickly add up. you can cash out at $25 via paypal. i just started this week and have a whopping 20 cents so we will see how long it takes to redeem. don't forget to use my code so you have lots of spins to start out with. best of luck! 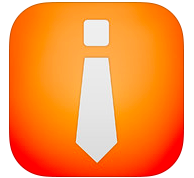 Receipt Pal: Earn Rewards In A Snap! this app that pays you back is one of the easiest ones to use--trust me. receipt pal just wants you to snap a pic of your receipt---practically any receipt. i snap pics of grocery stores, gas stations, even dr. visits! you cannot take multi pics of a single receipt so that can be a bit of a problem for long receipts. just tape it on the floor, stand on a chair and take your best steady shot. 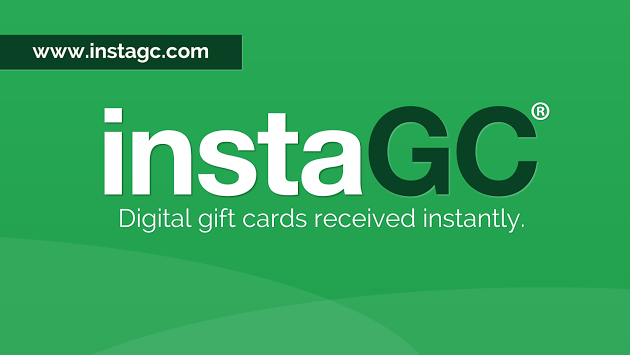 you can even send them online receipts--just forward your email confirmations from purchases! they allow you to register 3 email addresses so all online receipts must be from one of the 3 registered emails. 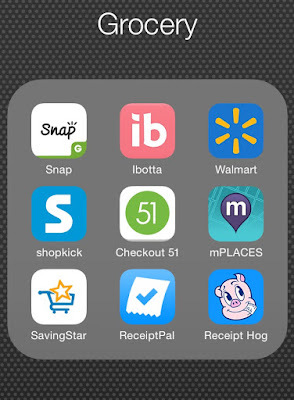 Find & Save: An Awesome New App That Earns You Money. oh my goodness i am liking this new app! 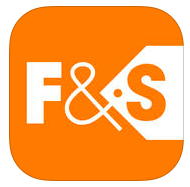 find & save is truly offering up FREE MONEY just for shopping at their sponsored stores---no specific items to buy or scan--just take a pic of your receipt and hit send. i have made over $10 in less than 2 months because it's all places i shop anyways: target, walmart, mcdonalds, kohl's, cvs, the list goes on and on! the deals vary--some a flat amount, like 50 cents earned, and others are a percentage of your purchase. threshold for cashing out is $25 and pays through paypal. deals change daily too so always check the app after any shopping trip! in just 4 wks i have already earned more than i do in 6 months time at my other shopping apps. definitely give it a try and see what you think! Survey.com: Earn Money Doing Store Audits and Merchandising. here is a nifty little app that i use to make some extra money. i was lucky enough to score a gig through them for whole foods that lasted for several months and involved me simply attaching coupons to certain products on the shelves. each job only took me 10 minutes and paid $12. i made nearly $200 for the duration of the project and it was super easy. payment was through paypal. they also often have walmart merchandising jobs where you actually go in and re-merchandise or change out signage for certain products. for some reason it is never any walmarts near me so i haven't tried one of those jobs yet. "Only download this application if you have explicitly been instructed. This application is for approved users only." i think you have to prove your 'worthiness' on the first app before they offer you the good stuff. 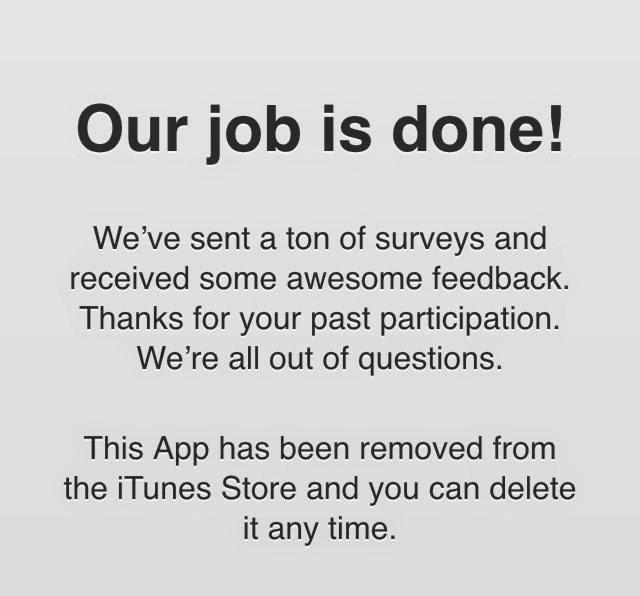 that being said, i do not do the surveys that only offer a sweeps entry, which are the majority of them and i don't feel that has hurt me. Say YES to Yaarlo and Earn Easy Cash for your Receipts. Say 'Yes' to Yaarlo, the newest mobile shopping rebate app. super easy to use, just snap a pic of any restaurant, grocery store, retail store, personal services or entertainment receipt--even online ones! Yaarlo does not have the ability to take multi pics of a receipt though so make sure you stand back and get the whole receipt in a single shot! so far i have had only one refused but it was super long and i guess unreadable in a single shot. available in the app store and soon to google play! ProductTube--Get Paid For Making Videos. well since EXPOtv bit the dust i have been looking for similar alternatives. heard some buzz about this site, ProductTube. i swear i keep discovering a new grocery app every couple months! 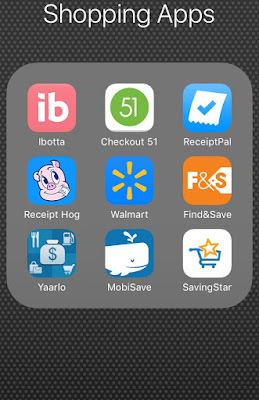 right now i am up to 9--yep it takes a few minutes to ensure i do all my scanning, checking in, and pic taking at the end of a shopping trip but every little bit adds up and when you are using 9 apps--it can add up quite quickly! Snap by Groupon: not a big earner, items seem a bit random and uncommon. still worth a look though, especially if you buy magazines. Ibotta: i am late to this party and i know i only scratch the surface of its earnings potential. many places to earn outside grocery stores like pet stores and even online sites. if you use my referral code, ezl4q, you will earn a bonus $1! there is a lot going on here--i keep it simple but i know i am only scratching the surface of this app's earning potential. *IT APPEARS THEY MAY HAVE CLOSED UP SHOP :( . i have no idea how i found this site but i have done 2 'shopping missions' for them and have earned an easy $40 amazon gift card each time. 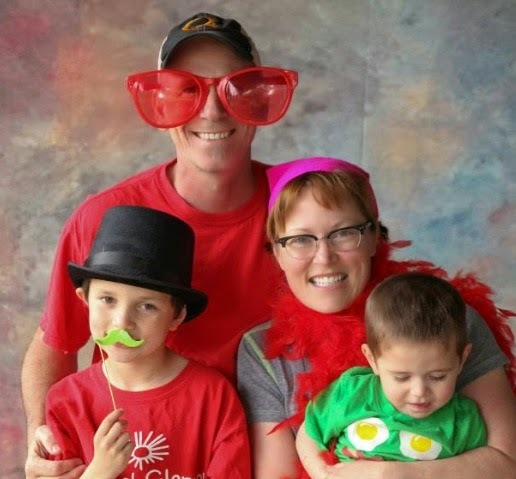 i just love the name: a Team Noesis Noe it all! both projects involved a short initial online screener and then a few weeks later i was notified i was accepted. i had to go to target or walmart, locate specific toys and take a few photos. once home i just needed to upload the photos and answer some questions---easy-peasy! have you tried 1Q yet? if not, sign up now! 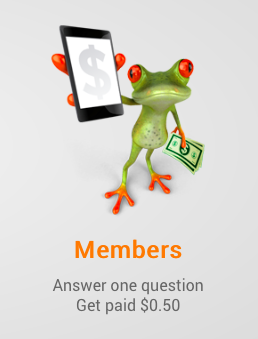 they simply ask 1 single question and then you get paid instantly via paypal once you answer. you have to act quick--most questions expire in 5 minutes. questions pay 50 cents but you do have option to 'reduce your fee' to 25 cents per question which apparently makes you more attractive to companies and increases your chances of being given questions over others. the action on this site seems to come in waves. some months i hear nothing and others i may get 3 questions. it's not a lot by any means but these questions are truly just a single 'yes or no' answer so it doesn't get more effortless than that. it also is available to countries outside the US---just attempt to register to see if yours is one of them. although i have reviewed this app before, it was awhile ago and i think it's time to talk it up again. this is one of my favorite mobile money makers. upon initial inspection, the site seems to basically be audits at specific locations, i.e.. take a photo of the 'as seen on tv' display at walgreens. 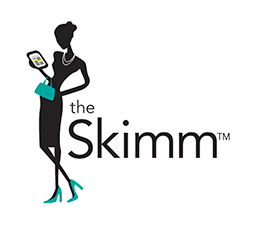 yes, yet another cash back shopping app has entered the arena! this one is called Snap and it's from Groupon. like checkout51, every retailer qualifies so that's a definite plus. 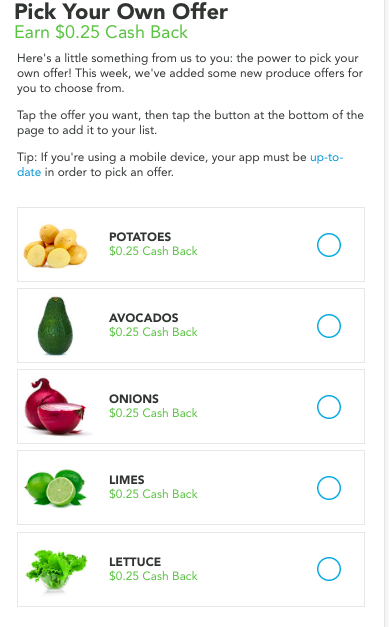 the app is available for iOS and android devices and like the others, requires you to take a snapshot of your receipt and then check off the items you want to redeem. i just discovered this app a few months ago. it's super easy and basically a free $10 amazon gift card every 3 months for doing absolutely nothing. just download the app on your phone, keep it running and you're set. we can only hope they bring it back in the future. UPDATE! 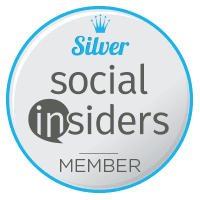 i just learned you can get an american express bluebird card and DOUBLE your savings catcher rewards! it was super easy to do too. i just applied for the bluebird card (its not a credit card but kind of like a prepaid card) and they mailed it to me. i then transferred my $18 in savings catcher to the card and it doubled to $36. definitely take advantage of this offer! OMG this is genius! 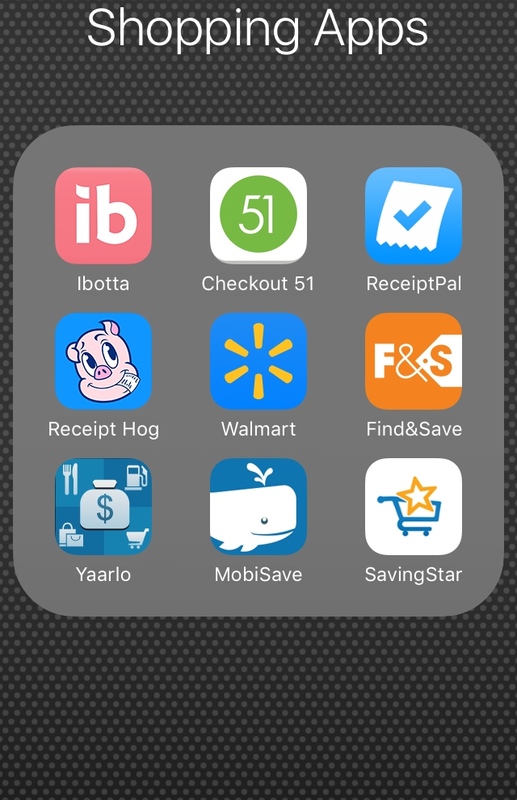 everyone MUST download this app and take advantage of what walmart is offering. simply put---shop at walmart, scan your receipt, walmart then does all the price checking for you--they actually compare their prices against all the nearby competitors printed and digital sales ads--and if someone had an item cheaper you get credited the difference! how easy is that? here is another mobile based app for your phone. 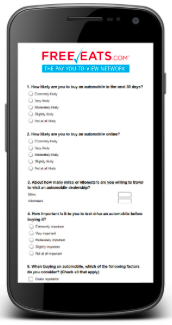 surveys are somewhat infrequent--they usually pop up after you visit a retailer--but they are quick and simple. surveys are usually worth 10 pts. and you get 1pt. for each day the app is running. once you hit 500 pts. you can redeem either a starbucks or amazon $5 gift card. it's an easy $5 every couple months. i really racked up points though when i completed a special shopping assignment this past holiday season. so even if this doesn't seem worth it--hang tight and just keep accumulating your 1pt. daily because you never know when a great incentive opportunity will come along!